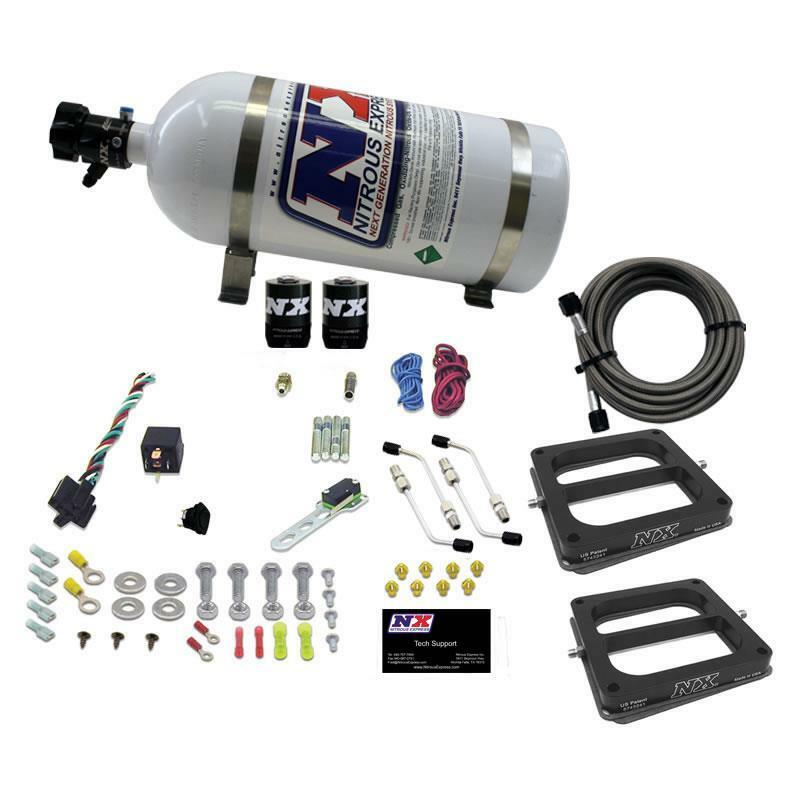 Nitrous Express Nitrous Kit - Direct Port - Phase 3 Conventional Plate System UNIVERSAL - Lightning Motorsports - Selling Speed since 1996 ! Stage 6 is the perfect entry level nitrous system for the budget minded sportsman racer. These systems feature the most advanced technology using the conventional spraybarless design. The Phase 3 series nitrous plates are the “Next Generation” in nitrous performance and reliability. This new innovation in nitrous plate technology provides superior distribution and outstanding atomization. With no spray bars to sag, split, block airflow, or damage this is truly the “Next Generation” in nitrous plate technology. Systems come complete and include limited lifetime guaranteed large solenoids, heavy duty 40 amp relay, 10lb bottle, stainless bottle brackets, and extra long supply line.